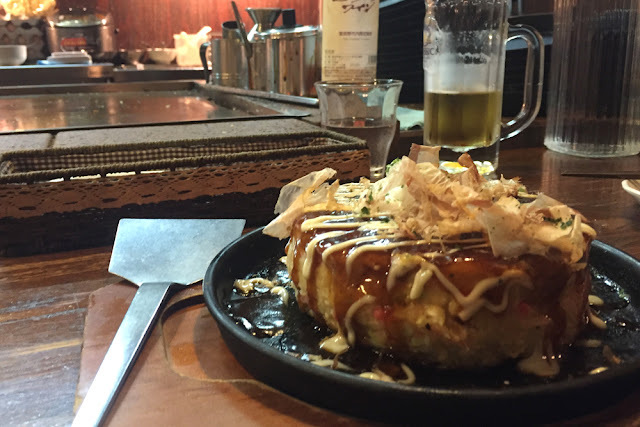 Teppan Okonomi Yaki Masaya is located in Furano town, it is about a 15minute walk from the bottom of the Kitanomine slope or a 5 minute taxi ride. The first time I visited Teppan Okonomi Yaki Masaya was 9 years ago when I last visited Furano with my mom, I am happy to say the the food is as tasty as I remember it and Masaya, the owner and chef, is still cooking up a storm and a great host! Masaya seems to be able to make time to say hello to everyone no matter how busy the restaurant is. 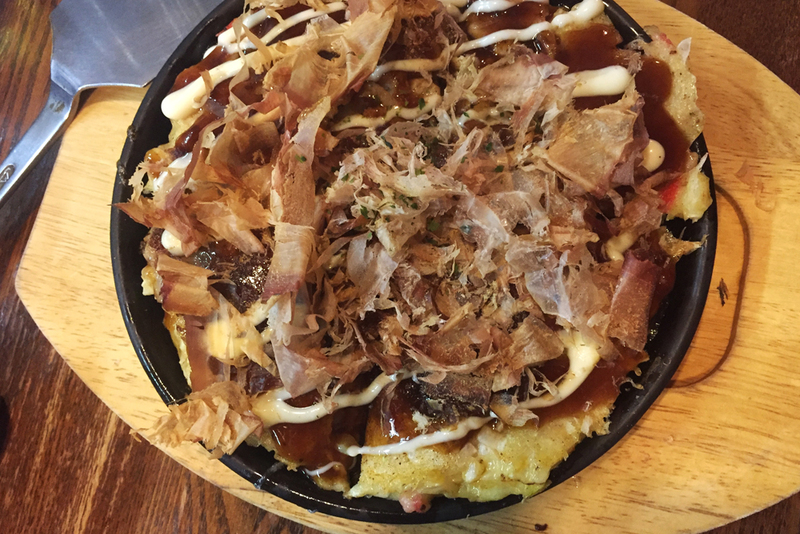 We ordered the mixed okanomyaki a Japanese savoury pancake with pork, shrimp and squid and smothered with mayonnaise, barbecue sauce and bonito flakes (tuna flakes), which was delicious! If you're less adventurish, there is an option with just pork. We also had the special Furano Okanomiyaki which showcases the local Furano potatoes and cheese. This takes about 30 minutes to cook so while we were waiting we had the super tasty slightly spicy pork and kimchi and a bowl of warm salted edamame (green soy beans) and some ice cold Asahi. We shared all the dishes which I strongly recommend so you can get a taste of everything and the pancakes are very filling.